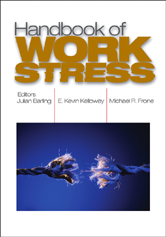 Editors: Barling, Julian, Kelloway, E. Kevin and Frone, Michael R.
The Handbook of Work Stress focuses primarily on identifying the different sources of work stress across different contexts and individuals. 27. Organizational Stress Interventions - Joseph J. Hurrell, Jr.